This "inside" history of Zorro, written by the wife of one of the franchise's current owners, is, overall, an interesting and entertaining read. It contains several delightful stories and gives lots of production information about various film and television interpretations. 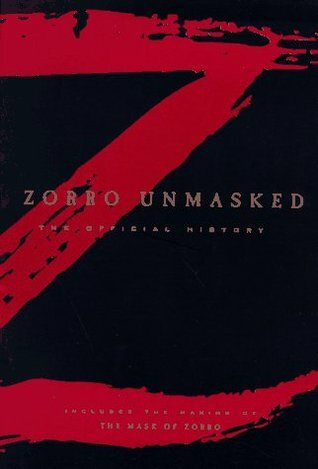 The book covers the original Zorro stories and compares the film and TV programs based on them, and also discusses the history of California and real-life bandits who may have served as an inspiration to Johnston McCulley.Unfortunately, this book is not the be-all and end-all of Zorro history, having noticeable gaps in the coverage. There were one or two items that I, as a longtime fan of Zorro, knew that were not discussed in the book. The importance of some of the "history" seemed arbitrary; some versions were barely mentioned, while others had scores of pages dedicated to them. Others were missing from the text, except for a reference listing in the appendix. At least one version was completely absent. A few long-standing legends and rumors were never addressed. The book has also incited wrath among some fans for its opinionated claims about various actors who have portrayed Zorro -- for example, Curtis strongly criticizes Duncan Regehr's interpersonal skills, but has only glowing reports of Antonio Banderas' personality, kindness and enthusiasm. This presentation comes across as biased and petty for a book claiming to be an "official history" of the franchise, even if this was the author's true perception of the actors.On a note less analytical and more editorial, the book is riddled with typos and misspellings. I find this irritating in any publication, but imagine how distracting it is when an actor's name changes spellings twice on the same page, or when, in a paragraph about the history of the California territory, the date suddenly switches from the mid-1800s to the 1900s and back.I would definitely recommend this book to fans of any version of Zorro; it is interesting, and you're likely to learn something new, even if the volume is somewhat disappointing as a complete history of Zorro. However, I would also suggest reading some of the other Zorro histories or cast biographies (such as Britt Lomond's Chasing After Zorro) for a more complete picture. I got into Zorro when I was 15 yrs old and I've always had this love affair-fascination with him as a hero. He's the original Batman, the first dichotomous protagonist. I think the idea of channeling your dark side (anger at injustice) to do good is an appealing concept especially when it comes alive as a masked man riding a dark horse. This was a very interesting book about the origin of the Zorro stories and the subsequent movies and t.v. shows. It also had a bit of California history as part of the background. There were some fun details about the actors from the various productions. A history of the character in fiction, serials, film, television, and Saturday morning cartoons. A fun if unimportant book that badly needs dozens of illustrations from all of the above.